Sister Maggie Hopkins, O.P., (Marie Josette) grew up in Milwaukee, Wisconsin, in a large Irish Catholic family of six children. Her father was an insurance salesman who, during the winter, worked as a radio dispatcher for the county highway department. Her mother was a stay at home mom. Sister Maggie attended Saint Rose grade school and Cathedral High School, both staffed by Dominican sisters. She took courses at UW Milwaukee for a year after graduating from high school, prior to entering Congregation of the Most Holy Rosary. She made her religious profession as a Dominican Sister of Sinsinawa in 1966. Sister Maggie received her B.A. in Religious Studies from Mundelein College, in Chicago, Illinois in 1984, and her M.A. at Wartburg Theological Seminary in Dubuque, Iowa in 1986. She did post graduate studies in Theology with the Minnesota Consortium of Theological Schools in St. Paul, Minnesota. Sister Maggie taught at Regina High School in Minneapolis, Minnesota, Trinity High School in River Forest, Illinois, and at Dominican High School in Whitefish Bay, Wisconsin. 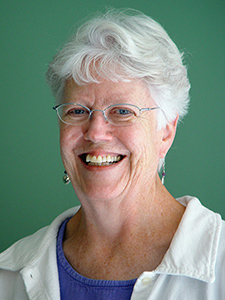 She also served as Vocation Director for the Dominicans of Sinsinawa. She is currently the Vice President of Dominican Mission at Edgewood College.